Highland Film Group announced today that Academy Award winner Nicolas Cage (Ghost Rider, Leaving Las Vegas, Wicker Man, National Treasure franchise) has signed on to play the lead in A Score to Settle from director Shawn Ku. The project is an action thriller that takes the audience on a psychological journey from imprisonment through redemption. 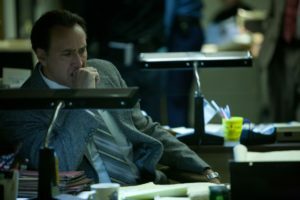 A Score to Settle begins when Frank (Cage), a convicted mob enforcer battling a terminal illness, is released from prison many years after taking the fall for a crime he didn’t commit. Now free, he sets out on a path for revenge against the people who wronged him. First Point Entertainment’s Lee Clay (Rememory, Comet, No Good Deed) and Goldrush Entertainment’s Eric Gozlan (Beautiful Boy, Standoff) will produce, with Highland Film Group’s Arianne Fraser and Delphine Perrier Executive Producing. Highland Film Group will introduce to international buyers during the American Film Market (AFM). Cage also stars in the upcoming horror thriller Mom and Dad which earned rave reviews following its world premiere in the midnight madness section of the Toronto Film Festival.